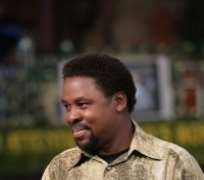 On Sunday 14th June 2009, during a service at The Synagogue, Church Of All Nations (SCOAN) broadcast live via Emmanuel TV, T.B. Joshua said: “On 16th and 17th, pray. Just fast and pray to save these souls. What's going to happen? We have to come together and pray.” He further divulged that the dates referred to 'the month of July', urging the congregation and watching world to take heed of the instruction to fast and pray, clearly envisaging a tragic scenario. On 17th July, the news broke that suicide bombers had carried out a coordinated attack on two luxury hotels in the Indonesian capital of Jakarta, the JW Marriott Hotel and the Ritz-Carlton Hotel. Both blasts struck the hotels' restaurants, injuring several dozens and leaving at least six dead. Several prominent international business leaders, as well as numerous other national and international guests at the hotels were among the victims. It is still unclear what group is behind the strikes, though suspicion immediately fell on Jemaah Islamiyah (JI), the Islamist terrorist network with ties to Osama bin Laden's infamous al Qaeda. In the wake of the bombing, the famous English football team Manchester United chose to cancel its trip to Indonesia. They had been scheduled to check into the Ritz-Carlton on Sunday. The deadly bombings ended four years of relative peace in Indonesia and came just weeks after their peaceful presidential elections. The mentioning of specific dates is not uncommon in T.B. Joshua's prophetic declarations. Earlier this year in January, he had called for prayers on February 13th, mentioning an area of a nation known as 'NY'. On that precise date, a Continental Airlines plane crashed into a home near Buffalo, New York, killing all 49 passengers on board and one person on the ground. Similarly, in September 2006, T.B. Joshua called for prayers on October 29th, saying that 'a famous and popular person in his own area will leave this world.' He further mentioned the term 'ABC,' stating, in parabolic fashion, that one letter appeared missing. October 29th 2006 was the day 96 people were killed in a tragic plane crash in Abuja, including several leading politicians and the Sultan of Sokoto, Mohammad Maccido, the religious leader of Nigerian Muslims. The aircraft was owned and operated by the private Nigerian airline, Aviation Development Co (ADC).